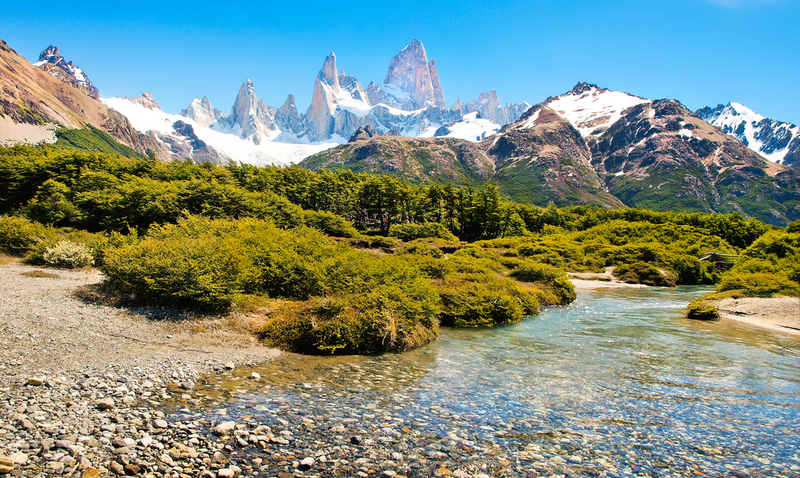 Patagonia, the land of fire, ice and a kaleidoscope of colours, is home to one of the most spectacular national parks in all of Latin America, where breathtaking glaciers, granite peaks and stunning lakes engulf you in an ethereal world of startling natural beauty. 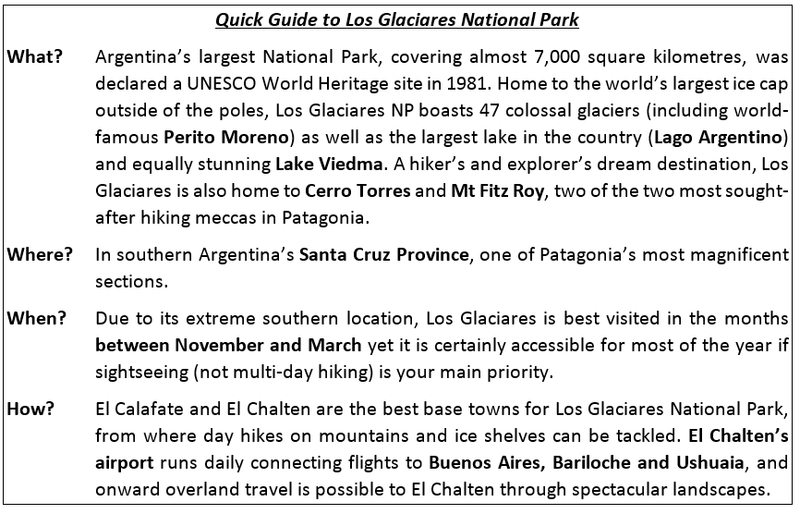 Our Guide to Los Glaciares National Park is your appetising insight into all that awaits you at the end of the world. Home to over 350 glaciers, the aptly named Los Glaciares National Park is a bona fide ice kingdom of immense proportions. Tourists flock during the high (ie. tolerable climate) season to explore it at length and to discover some of the world’s most unspoilt natural treasures. Among vertiginous glaciers, verdant forests, imposing mountains and pristine lakes and rivers, one cannot help but feel completely overwhelmed. Not only by the sheer size of, well, everything, but the fact that the land here is seemingly untarnished by the hand of man. When man travels this far south, man takes second-place. The harsh climate of Patagonia, on the southern tip of Latin America, is not exactly a warm and cosy place to visit. Winds are sporadic and brutal, temperatures plummet as the sun rests. This is a place where the climate can change in an instant and where you’re made infinitely grateful to have a warm and comfortable guesthouse to which you can retreat. 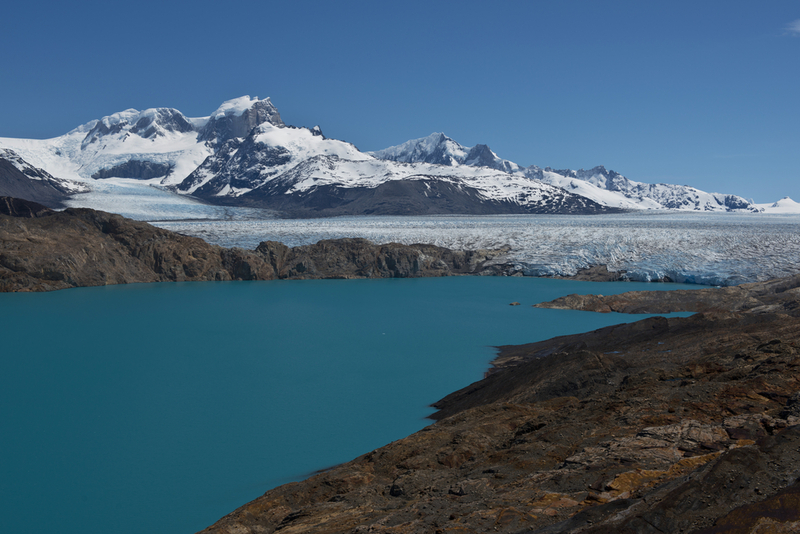 Patagonia, and Los Glaciares National Park, are wilderness personified. 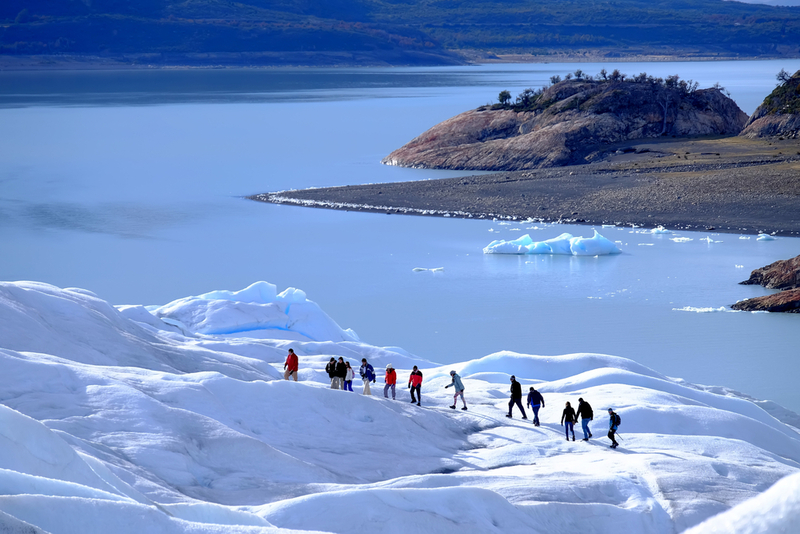 An active adventurer’s playground, Los Glaciares is revered not only for what it has to admire but also the array of outdoor pursuits it offers. People flock from all over the world hoping to conquer one of its most famous peaks, and to stand in awe at the spectacle that is Perito Moreno, a true force of nature. As colossal chunks sporadically crash down onto Lago Argentino, the roaring sound and visual feast of Perito Moreno is indescribable. At this southern base of the Andes the land is virtually locked in a cover of ice, and bordered on the east by the arid steppe of Patagonia. 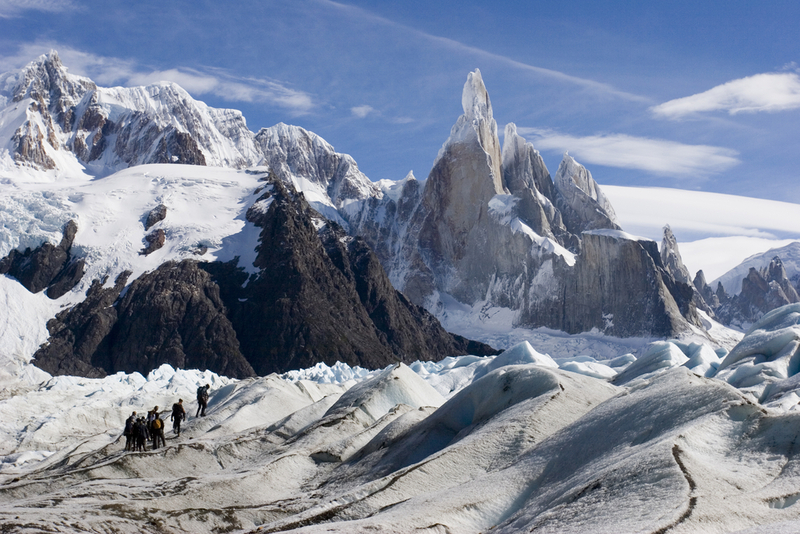 Almost half of Los Glaciares National Park is iced over, so glacier hiking and climbing are naturally very popular activities. A hike on a glacier need not be an immensely exhaustive affair, mind you. Yes, you’ll need to don crampons and watch where you step, but a hike on Perito Moreno, for example, is not unlike a very pleasant yet sensationally unique stroll. If you wish to go for a stroll with an ice-pack in hand, you would certainly find plenty of excuses to put it to good use. El Calafate is the base town in the southern end of the park, and the best place to explore Perito Moreno and its stellar surrounding. A smattering of lovely lodges do a great job of keeping you warm and cosy at night, and the town’s array of great restaurants don’t disappoint one bit. This is Argentina, after all, where gastronomic delights are assured even in in the remotest of places. 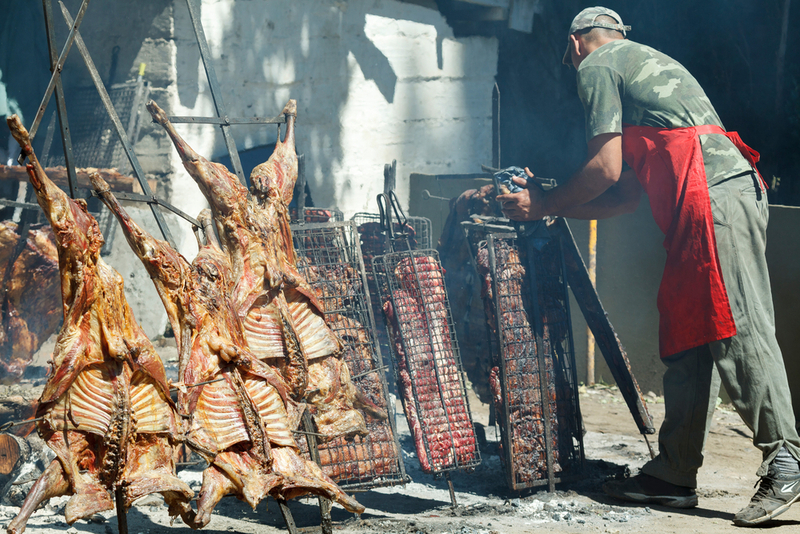 BBQ Cordero Patagonico – or Patagonian lamb – is an epicurean delight not to be missed. Aside from taking in the crown-jewel site of Perito Moreno, you can also visit estancias, go horse riding or bicycle riding along the shores of the lake. Exceptional viewpoints at higher points abound, and you can take a 4WD tour to explore the nearby area and take in the views. History buffs will enjoy a visit to the Historical Interpretation Centre which, given its diminutive size, packs a great informative punch, and traces Argentina’s history right through the ages. From dinosaurs to conquistadores, you can learn all about it here and enjoy a wicked cup of mate at the end. Should you suffer a turn in the weather during your visit to El Calafate, this place is ideal to while away a couple of frosty hours. 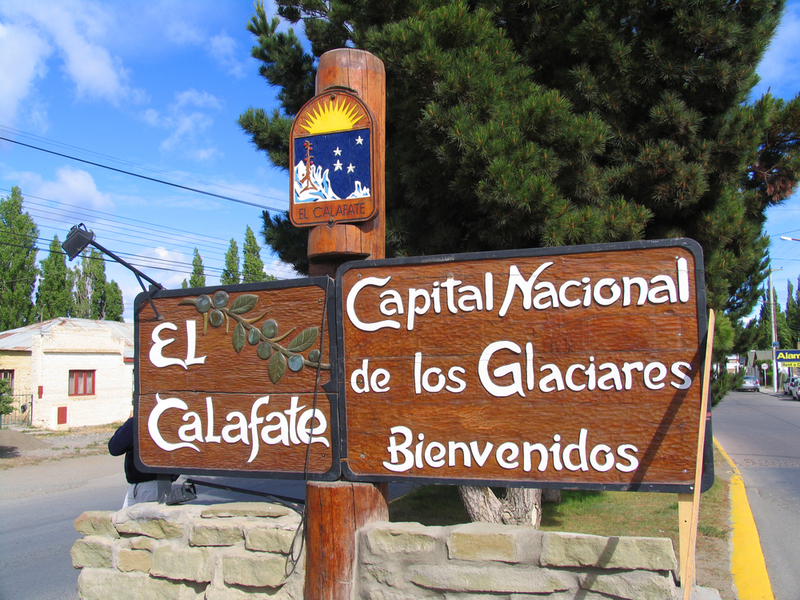 On the northern end of the park, just a few hours’ drive from El Calafate, is where you’ll find El Chalten, the best town from where to explore the northern mountains. Of the two towns, this is the most picturesque by far. 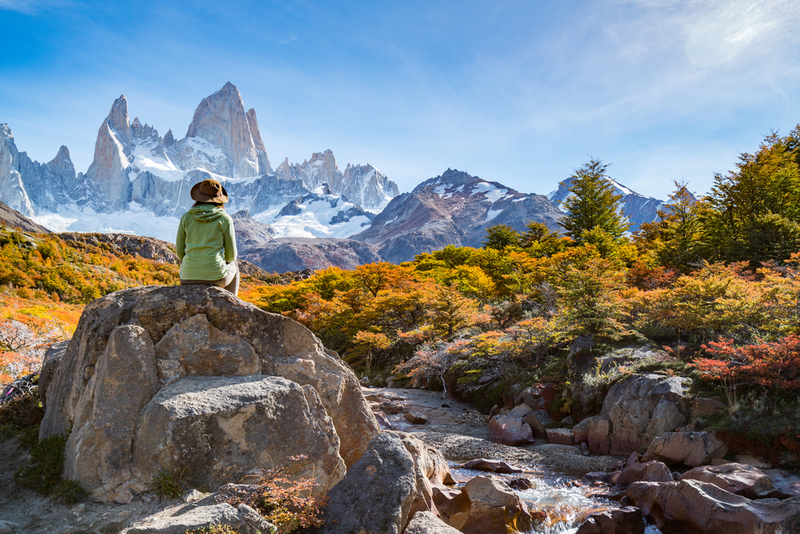 Trekking is the main reason why adventurers come to El Chalten with trips to Cerro Torres, and phenomenal hikes up Mt Fitz Roy, being the Holy Grail of most visitors. The awe-inspiring and intimidating mountains surrounding El Chalten are notoriously challenging due to their sheer granite rock faces. Hiking to the very top is reserved for experienced climbers. 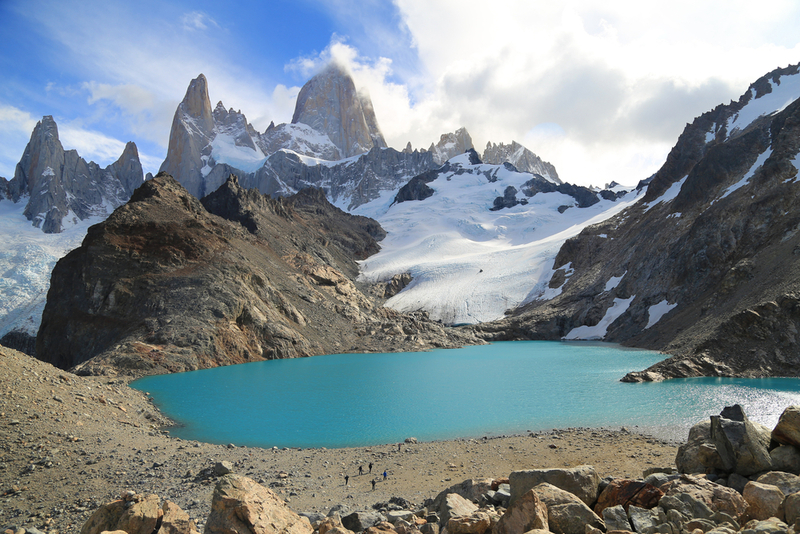 However, plenty of options abound for shorter and much easier treks, especially to the few lagoons which frame Fitz Roy’s base and make for phenomenal viewpoints. Once in El Chalten you can also hike atop Viedma Glacier which includes a boat ride and a glacier-ice-filled shot of Baileys that’ll warm the cockles of your heart Yes, that’s as hard-core as you’d ever need to get up here! El Chalten is a much smaller town and offers less in terms of ‘alternative attractions’ but given that you’ll be having quite full-on adventure-packed days, and the opulent vistas from every corner of town, ending your days with a glass of excellent Argentinian vino tinto and an unforgettable sunset view will more than satisfy your soul. We offer an array of options to discover Patagonia and a 4-day El Calafate experience that’s perfect for those short on time but BIG on adventure spirit. You could also easily combine a visit here with a cruise to Antarctica, with convenient flights connecting Ushuaia and El Chalten. Contact us for more info and let us help you plan an unforgettable tour of discovery through one of the most incredible places on earth.